There is often a seductive benefit of being a female artist; free from the constraints of the watchful male gaze, a female painter often revels in her canvas, melding colors together with calculated abandon. Female photographers utilize their cameras to weave storytelling with stirring, visual beauty. Women involved in movement art employ their bodies as a device through which to convey powerful traumas and tragedies, transcending their physical outliers. Art, it has been said, is where a woman is seen, and yet not seen. Even that particular adage is indeed complicated when various identities in addition to gender are included: Black women (even more to the point, Black queer women, and Black non-binary people) are not often afforded this luxury with regards to art, particularly within the music industry. In a corporate business plagued with racism, colorism, queerphobia, and misogynoir, Black women’s aesthetic choices and physical appearances are paramount to their music being heard, taken seriously and widely successful. The decision in hairstyle, in addition to clothing choices and accessories, makes all the difference in regards to how your label markets you and how much capital white label executives extract from your creative labor. It’s why the styles of Black indie artists Fefe Dobson and Helicopter Girl were transferred to more marketable artists without proper credit and musical acclaim. It’s why darker-skinned Black trans women such as Quay Dash and Ebony Mattel are overlooked for cisgender women with lighter complexions who might not have the same talent but possess online clout. Indeed, unless a Black woman reaches the Beyoncé pinnacle, we are often subject to the whims of the capitalist machine that is the Western music industry. Enter Leikeli, the Brooklyn bad gal with a penchant for outlaw aesthetics: in her video, “Attitude,” the emcee appears in a yellow bandana facemask, gold fronts protruding out as she cockily chants in the camera. While her face is covered, her Black queer sidekick begins to vogue down, duck walking merrily to a quirky hip-hop beat. They appear together again later in the video, in which Leikeli sports a pink ski-mask amidst a neon-pink backdrop, name-dropping infamous Black female icons of yore, such as Grace Jones and Dorothy Dandridge, in addition to contemporary figures such as Kelis, and of course, Beyoncé. Notably, the words Bismillah (translated to in the name of Allah), appear in the background. 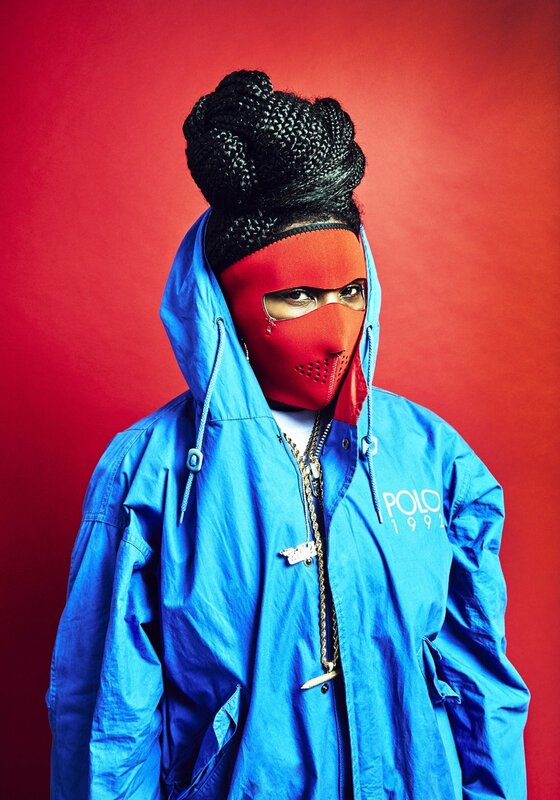 It’s this magical manipulation of costuming, posturing, and visuals that deems Leikeli an artist to be reckoned with. In not revealing her face, the rapper is pulling a coup d'etat on the music industry’s exploitation of Black women’s appearances, unapologetically centering her art as the utmost important conversation piece. “Kelis is God, so is Beyoncé,” the rapper quips in a remarkable stanza. Leikeli pays homage to Black female entertainers of her time, while subconsciously urging the audience to consider herself in cohesion with such greatness. 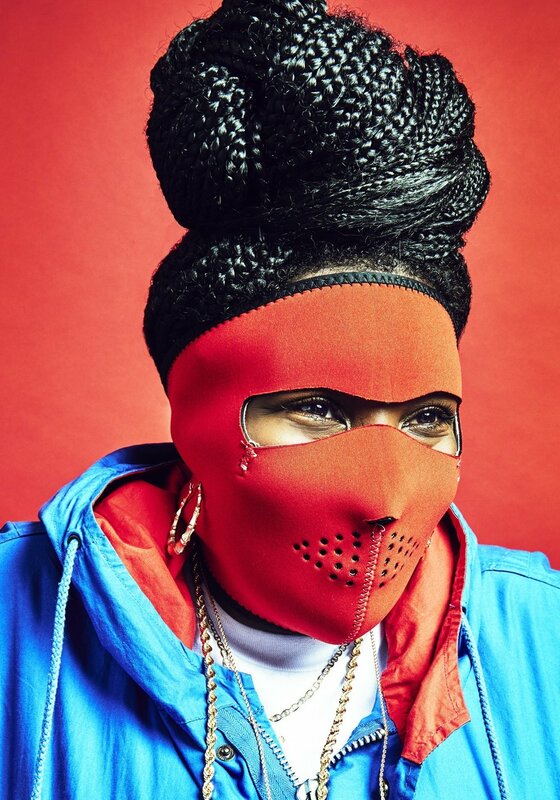 In aligning herself with such grandiose Black performers, Leikeli also silently justifies why she can pull off wearing a ski-mask as a viable aesthetic: being that Black women’s astronomical talent is god-like, the superficialities of physical appearances mean nothing in regards to art. In an industry that seeks to control the careers of Black female artists, Leikeli centers herself above industry manipulation of Black women’s appearances, employing aesthetics as a portal to artistic liberation. In her creative process, she achieves what is oft impossible for non-white women to achieve in artistic fields—the ability to be seen, and yet, not seen.